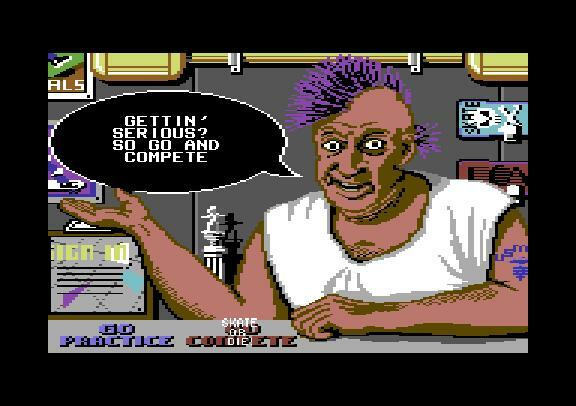 Screenshot from California Games, Commodore 64 version. Screenshot from the footbag event in California Games, Commodore 64 version. 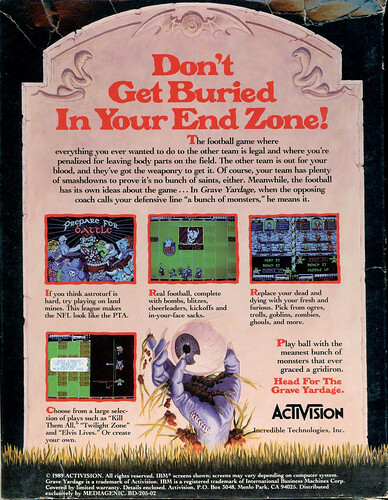 Box back from Activision's 1989 release of the Commodore 64 version of Grave Yardage, a fanciful "anything goes" take on American football. Such sports games have much in common with today's extreme sports titles. 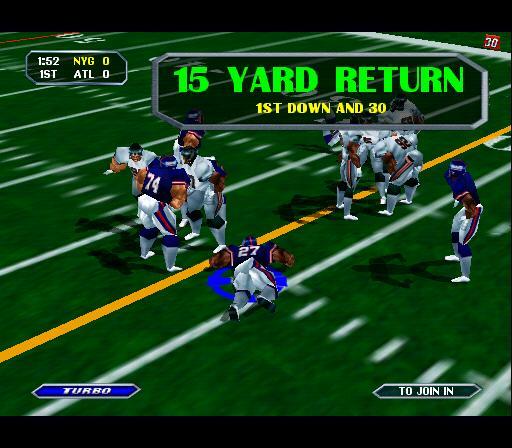 Screenshot from the arcade version of Midway’s NFL Blitz (1997), which put a more violent twist on the over-the-top antics of the successful NBA Jam formula. Screenshot from the Sega Dreamcast version of Tony Hawk’s Pro Skater. 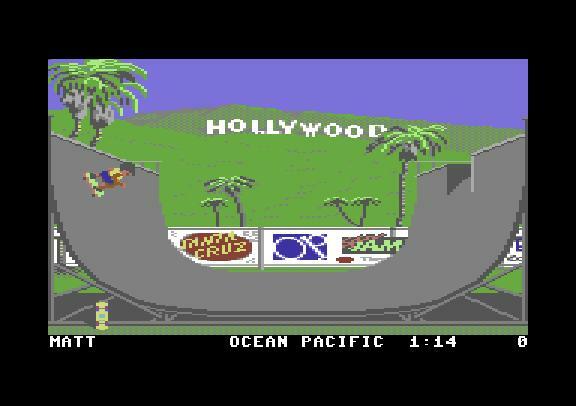 Screenshot from Tony Hawk’s Proving Ground.